SGL Group's 50k heavy tow carbon fibre has been approved by Ger­manischer Lloyd Wind Energy GmbH (GL Wind) for the wind energy industry. BMW Group and SGL Group have formed a joint venture to manufacture carbon fibres and fabrics for the automotive industry. Wind power, as the fastest growing segment of the energy sector, has become big business and how it thrives has a profound influence on the reinforced plastics industry. It continues to draw in large volumes of material, used for the rotor blades that drive the turbines, but there are questions over whether the graph can rise smoothly from now on. The major question is how quickly offshore development can take off. SGL Rotec is a joint venture between the SGL Group (51%), of Weisbaden, Germany, a manufacturer of carbon fibre and other carbon-based products, and German shipbuilder Abeking & Rasmussen Schiffsbau- und Yachtwerft (49%). According to the SGL Group, the agreement with BARD Emden Energy GmbH & Co KG has an initial term of five years with a "low triple-digit million € order volume." It includes the delivery of moulds and production equipment for upcoming wind farms of the BARD Group. 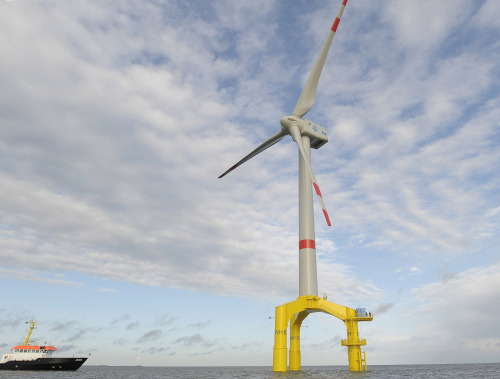 In addition to the first German commercial offshore wind farm project 'BARD Offshore 1,' BARD has received approval for three offshore wind farms in the Netherlands. The BARD Offshore 1wind farm includes 80 turbines and it will start to supply power to the grid in 2010.